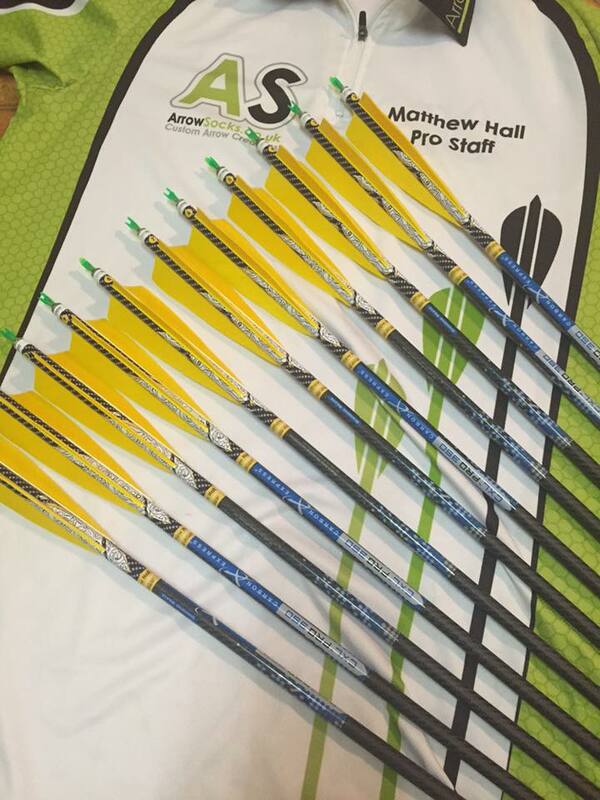 Meet our Pro Staff archers! 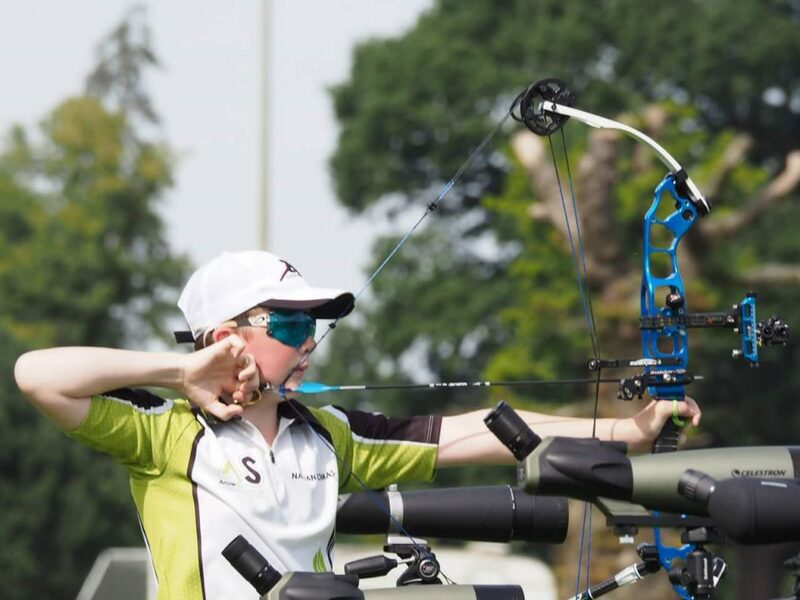 These guys have been chosen as brand ambassadors and/or aspiring young archers who we want to support and help to grow – in style obviously! 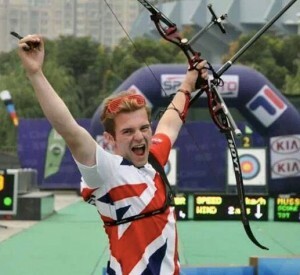 I have been shooting recurve for 11 years and have represented Great Britain in the junior Europa cup stage 1 Slovenia, stage 2 Romania and the 2013 Youth world championships Wuxi, China.On average I shoot around 40 competitions a year recently winning Junior mens recurve gold at the EAF2014 (Watch the video! 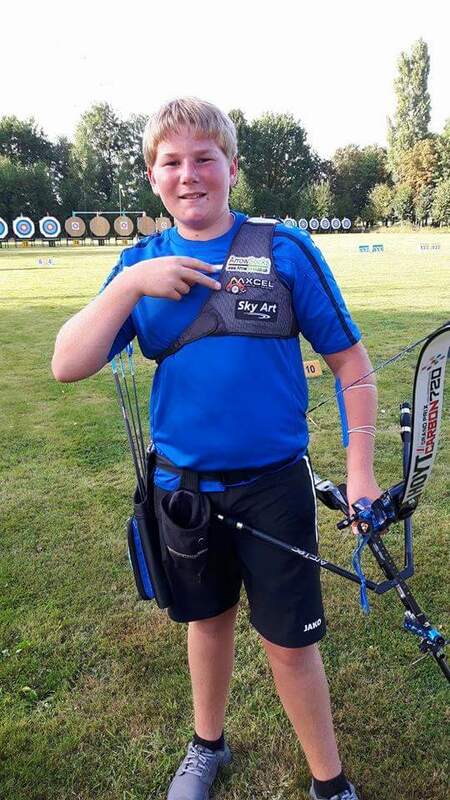 ).I have been on the Archery GB Performance academy since 2011 and have made massive progress from a national shooter competing for England to an international shooter competing for Great Britain.I have recently been placed in Talent confirmation to monitor my progress seeing if I am eligible for podium potential within the next 6-12 months. I am currently the Double World Champion. 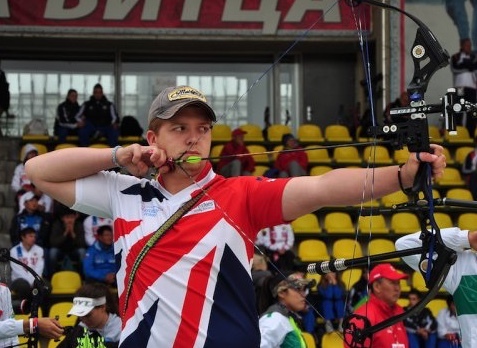 I shoot for Team GB and am on the World Class Program with Archery GB. I also shoot for my home country of Northern Ireland in the junior and senior teams. I am 18 and still in full time education working towards my A Levels. I then plan to take a gap year before university. I will spend a large portion of my time training at the Lilleshall National Sports Centre with Team GB and also competing at World Cups and other Championships. I will take a second gap year to train specifically for the Olympics. At the World Youth Championships in Wuxi, China I qualified in fourth place individually in the cadets section. I then won my way through the head to heads to the Gold medal match where I won 6-2 and became World Champion. Myself and Beck Martin made up the mixed team in the competition and we also made it to the Gold medal match where we also won and became world champions! These two World Gold medals came close on my success at the European Field Championships. 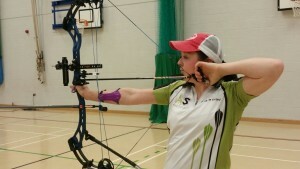 At this event I qualified first in the Junior section and went on to win Gold individually and Bronze in the team event. Patricks latest adventures have seen him take on the worlds best in Rio and the 2016 Olympic games for Team GB. Patrick’s first Olympics, he made it through to the second stage but was knocked out by the Korean who eventually won the individual Gold. Patrick’s Olympic Rio 2016 wraps. I have known Jodie from the beginning of her shooting career, i used to shoot with her dad and he brought her along and introduced her to archery. Like her dad she picked it up quickly and now wears the coveted Union GBR shirt! 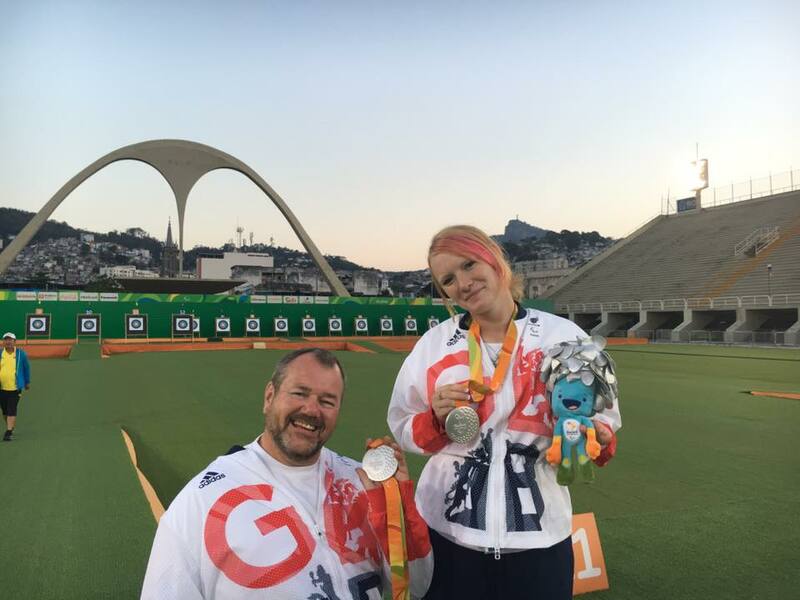 Recently she represented Team GB in the Paralympics in Rio, bringing home a silver medal in the mixed team event with John Stubbs (Who uses our name labels). Hi, I am a 40 year old man that had a very stable and happy life. I have achieved so much during my short career, having been in the Army (REME) and very sadly being medical discharged, through to gaining my ONC in engineering and then on to my very fulfilling life as an offshore survey engineer, where I was fortunate to see a fair bit of the world. Sadly though, my happy life came crashing around my ears in April 2011 where I suffered a near fatal motorbike accident! I broke so many bones in my body and sustained a brachial plexus injury to my right arm, leaving it paralysed and sadly I now spend all of my time in a wheelchair. I was always an active man and found that being wheelchair bound was one of the most frustrating things of all, as I love the outdoors and love meeting people. 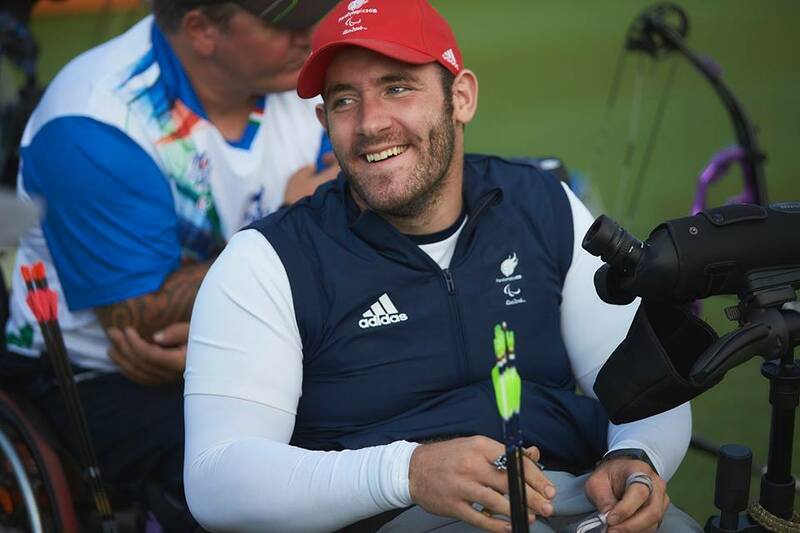 Since watching the Paralympics in 2012, especially the Archery, I realised that some of the people taking part in the sport were amazing! !So there would be no reason why , if I put my mind to it , that I could participate too. I set about researching how a 1 armed person could fire a bow, but to be honest there wasn’t very much help out there, so I thought that maybe I could do something about that. With the help of my partner I devised a shoulder mounted aid that with the help of a camera release, enabled me to fire a compound bow! 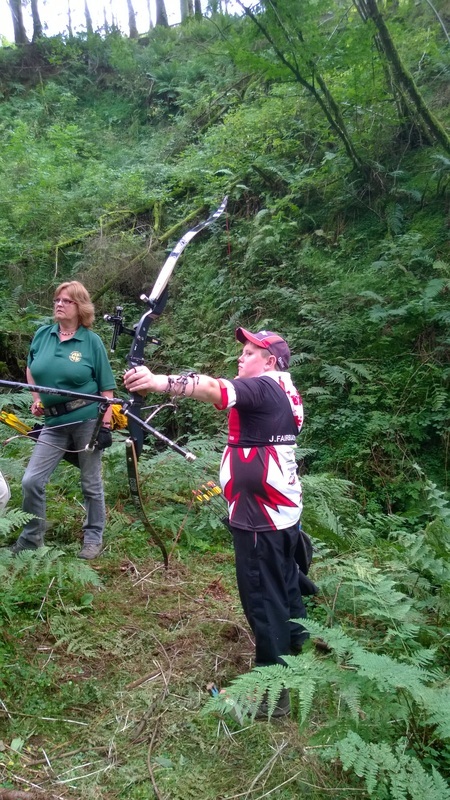 This has progressed in the past 2 years, I also found that I was quite good at it too, so I proceeded to join a local archery club and then onto The British Wheelchair Association where I meet up with other disabled Archers. I have helped 2 other people by making devices that have enabled them to fire their bows and am now in the process of hopefully helping someone else. I get a great deal of satisfaction from this. My goal in my life at that time was to hopefully get into the GB Paralympic Archery Team for Rio 2016. I have since achieved this and my next goal is to be a W1 Paralympic World Champion at the World Championships in Germany this year. (I have already shot an unofficial World Record). I’ve been shooting since I was 8. I was taken to a ‘have a go’ by my Dad and fell in love with the sport. 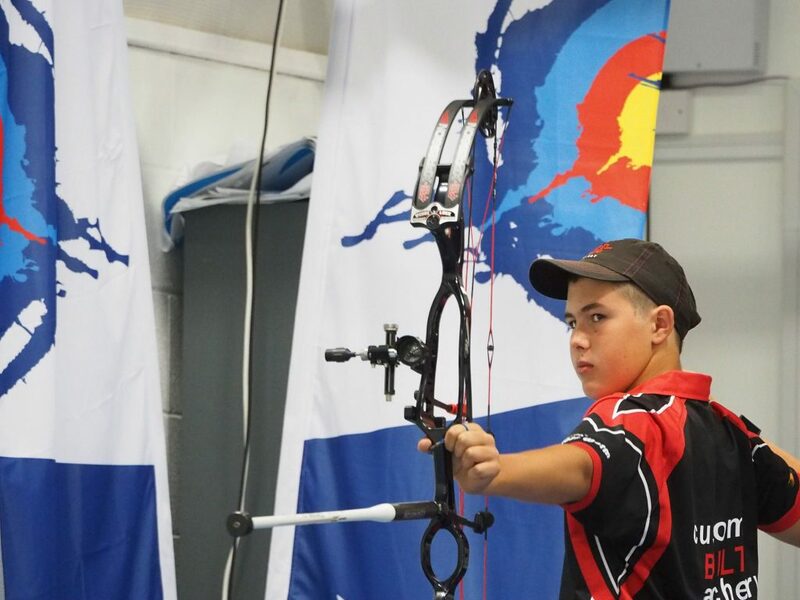 I was tiny and, to be honest, pretty pathetic with a recurve when I was young but I’m a natural born competitor so when I turned 12 and had to go up to a distance I couldn’t reach, I had a choice of going compound or quitting (recreational shooting was not an option to me). Now 37, I still have a compound in my hand! I’ve been around for the vast majority of the evolution of compound in the UK. I’ve worked in the trade for 18 years and for the last 2 years, concentrating on building my own company; Reign Bowstrings. As an archer, I’ve pretty much been there and done it all, shot for club, county, region, Nation and my Country. My list of successes and failures is far too long to list and whilst I appreciate that I’m probably too long in the tooth to compete for Great Britain again, I still love to give those who can a good run for their money! As I reach the pearly gates of my career, I have found a sense of completion in helping others achieve their goals and dreams. 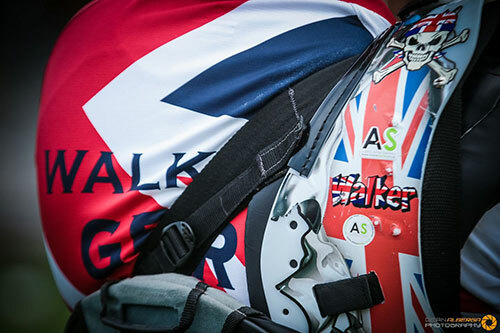 In 2014, I started working with the Archery GB Paralympic Academy and the Great British Youth Team. I now work with the GB Elite and Development Squad and this year will travel with both the Youth and Senior Compound teams at their respective World Championships. I am privileged to have and still work with some of the finest, most dedicated and talented archers I could wish to meet and to now be able to see them standing on the podium at International events is one of the greatest feelings imaginable. I have been shooting since I was 7, starting with recurve. I changed to compound when I was 8 as I wasn’t strong enough to shoot distance with recurve. From the start of my compound career I wanted to become the World Champion and my coach has helped guide me towards this goal since then. My greatest achievement to date though is having been selected to shoot for Great Britain at the European Youth Cup in Austria. This is my first International tournament and will give me experience of shooting at the top level. 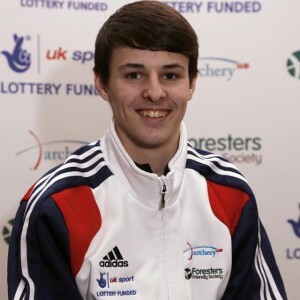 My focus for 2015 is to gain a place at the Youth World Outdoor Championships in USA 2015. Over winter I have been working hard on my strength to cope with shooting 50m accurately and I am currently shooting 5 days a week (approx. 700 arrows) with Gym sessions and off boss training when I’m not at the club. In 2005 I attended an Archery have a go session at a holiday camp just to say that it was something I’d tried; from the very first arrow I was hooked! After about a year of preparation and hard work I was ready to compete in my first competition and loved the sport that much more. 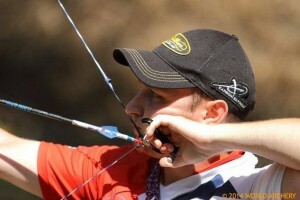 I shot as a recurve archer from the year 2005 to 2012 and began compound from then on. Since beginning compound I have set county, regional and National records and competed from domestic to international levels. In 2013 I was fortunate enough to attend the Great Britain Selection shoots for the junior team for the European Championships. After qualifying for the team for the year I traveled to Slovenia and Romania for the European Junior Championships and later that year; China for the world championships! In 2014 I was selected for the junior team to attend the second stage of the Europa cup held in Moscow, Russia. Returning to the UK with a Team Silver Medal and a wealth of new experience and knowledge. Archery has become a passion and a part of my regular day to day life, almost as second nature. May the future bring more happiness and success! I am honoured to have been selected for the Great Britain Elite Squad training camp and can’t wait for the work to start! 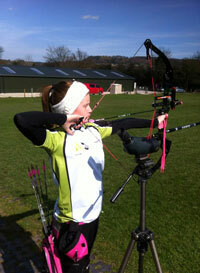 I am currently on the Archery GB Academy programme and have been shooting since the age of 5. I have been National champion shooting 3 different bow styles in 3 different archery societies. 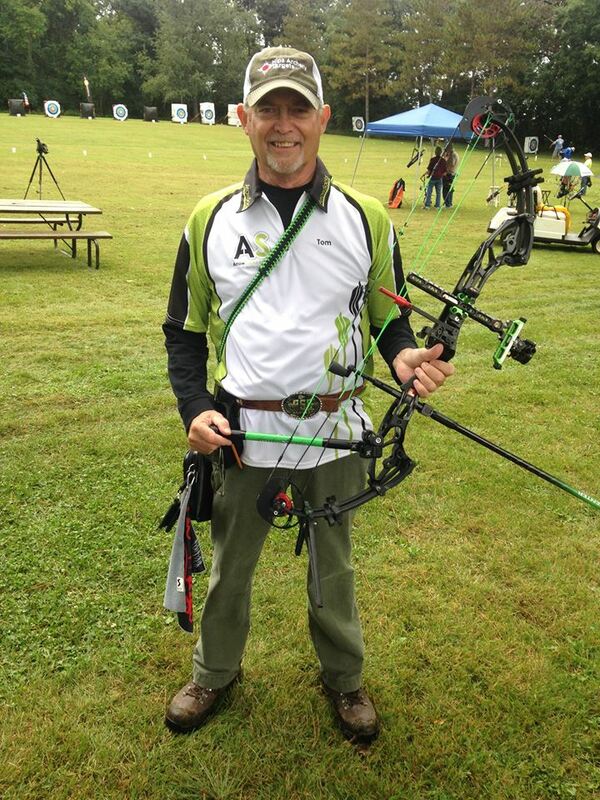 In 2014 I have won 6 National titles in both target and field archery and broken 12 National records in field archery. A fantastic year for me was capped off with a formal invite by USA Archery to shoot at the JOAD National Championships in Alabama in July 2015. 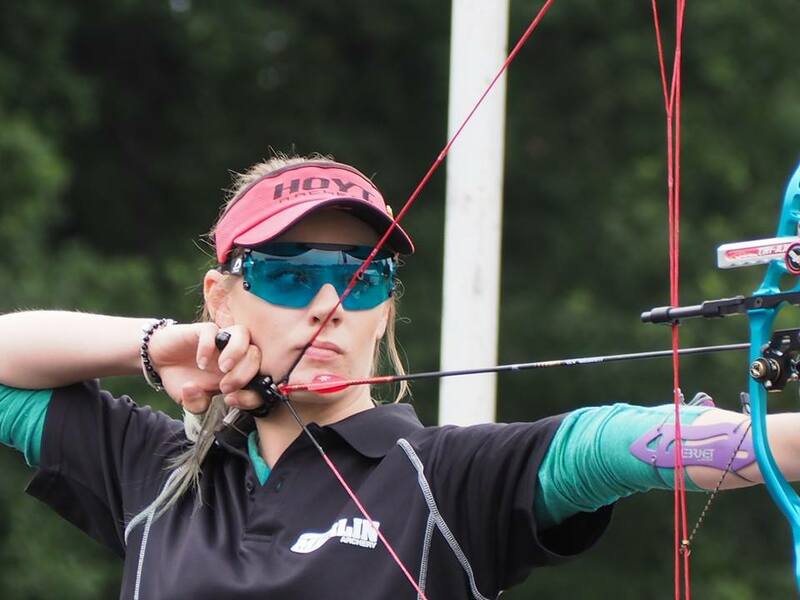 I am also looking forward to the 2015 IFAA World Bowhunter Championships in Hungary next August. 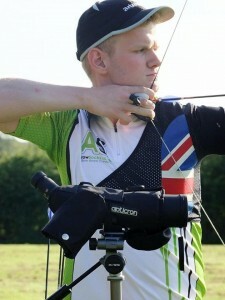 I aim to represent GB in the future both at target and field archery. I only use quality kit and shoot a KG Archery recurve bow with Nexgen limbs, Carbofast stabilisation, Shibuya sight, Beiter arrow rest, nocks, clicker and arm guard, McKinney II arrows, Vaportrail string, Artebo chest guard, Rayjus apparel, Titan sight pin and of course ArrowSocks wraps. In the summer of 2012 my Dad enrolled on a beginners course with Old Basing Archers. I started shooting Recurve with him at the club in February 2013, which I really enjoyed and quickly claimed my first class. Although I enjoyed Recurve, what I really wanted was to shoot Compound because they were much more accurate and look a lot cooler! For my 11th birthday I got my first compound, it was only an old Browning Micro-Midas but I loved it and as my technique improved I got a Hoyt Ruckus, which I would highly recommend to any junior archer looking to shoot compound, and claimed my Junior Master Bowman within the first 3 months with it. 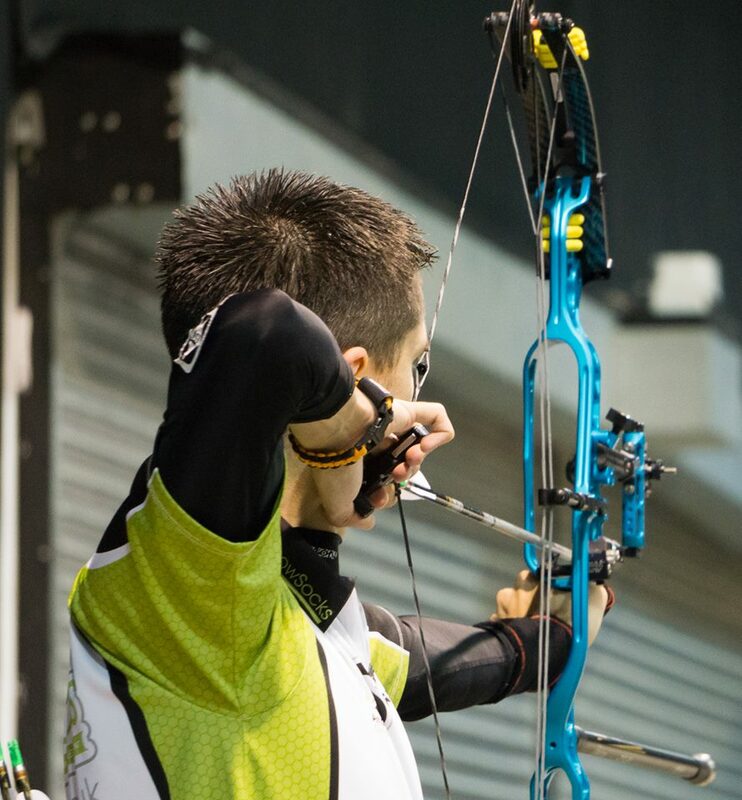 During the 2014 season I started to shoot at competitions, at one point I was shooting at a competition every weekend. After shooting at a competitive level for a couple of months I started to grow out of my Ruckus quite quickly, which my parents didn’t expect, and got my purple PSE verge which I have shot at loads of different competitions, some of them are: HAA team trials, UK Junior Masters, Junior Outdoor Nationals, Junior Indoor Nationals and lots of other County Championships (Surrey, Kent, Hampshire, Middlesex) and I now shoot for the Hampshire team. I’m now shooting ALL the time, as much as I can! I’m really pleased I’m now sponsored by ArrowSocks!! They look great and really stand out! During my army career I was with the second battalion the royal Anglian regiment serving in Northern Ireland in west Belfast around the notorious falls road area . Being shot at and mortars was sort of every day life, I lost a good friend there and have seen things that I wouldn’t want my children to see. The fateful day was 10th of May 1989, just of the falls road where I was hit by a IED where I sustained my injuries; the loss of my right leg above the knee my left leg below the knee and my right eye . Queen and country demand a high price! I have played, coached and been running wheelchair basketball sessions for the last 16 years with the Leicester Cobras and it was at a school session when in the gym next door they where doing an archery have a go session and one of the coaches, Nigel, asked me to pop in and have a go before I left, at first I said I had tried before a while ago and found it boring . But I went and tried the boss was only 10 meters away and I put every arrow he gave me into the gold he looked surprised and asked if I had done it before!! Then I told him about my army back ground and it all clicked into place. That man saw something in my ability that day and as gave me three days a week of his time since we met just over a year ago last September and has and still does push me really hard . 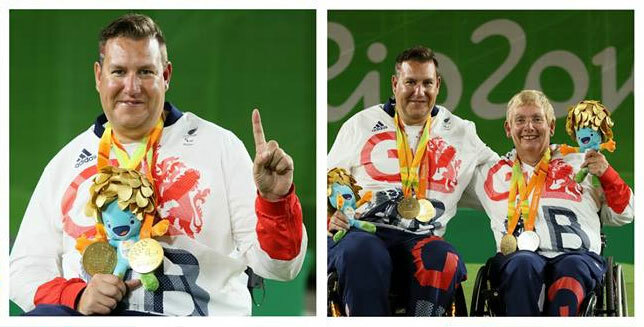 So when I got to put on the GB archery shirt it was a very proud moment for him and me. Getting into the Invictus Games and winning a bronze medal was brilliant . I was a little disappointed with it as I let my nerves get in the way in that day but it was awesome to shoot in front of a crowd in a brilliant venue at such an amazing event. I have chosen to stick with archery as it’s me, I can only blame myself if I fail and this is a different kind of challenge away from the team games I’ve played. 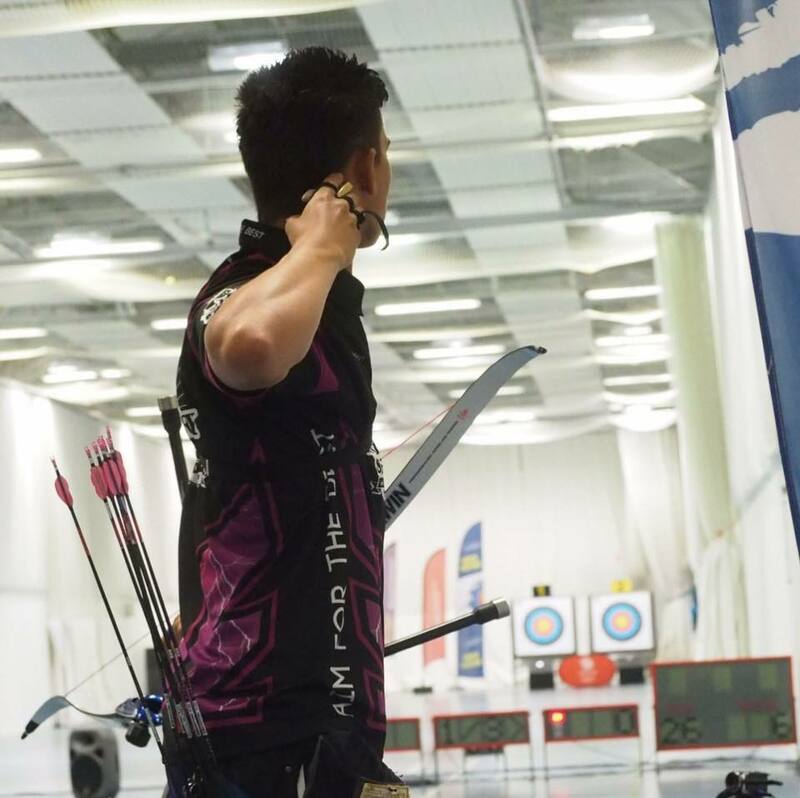 My goals are to be the best archer I can be and to represent my country in competition around the world and to hopefully reach the heights of the Paralympics like Rio and beyond. 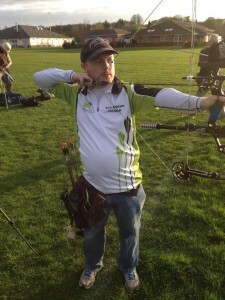 I’d like to push archery in and to involve more and more disabled people in the sport. I have been shooting compound for nearly 8 years now and have been fortunate enough to continually represent my county, Kent, for the past 4 years. But my passion and desire for archery has pushed me to want more from the sport I love. I was once told after winning a local shoot, “there is no point being a big fish in a little pond, you need to get out there”…..so I did, and entered bigger shoots all over the country. Last year I travelled up to Scotland and came 4th in the National Series 1st leg, and became the EAF English Champion for the 2nd year running. I have tried to get amongst and upset some of the more well known archers and prove that any one can do it if they want it! The National Indoors 2014 was a fantastic way to finish the year seeding 5th in the ranking round. I love to stand out and be unique, so I shoot custom painted Mathews apex 7s, I am so fortunate to be part of the most amazing and friendly family where I can push that need to stand out and for people to take notice, the Green Army! After being forced to give up athletics in 2012 I decided to join my partner and jump straight in to compound. In my first year I was lucky enough to be selected for my county and was one score short of getting my MB. This spurred me on to start entering bigger competitions around the country. In 2015 I finally got over some issues and managed to get my MB with the last score being 1 point shy of GMB and smashing my previous personal best. 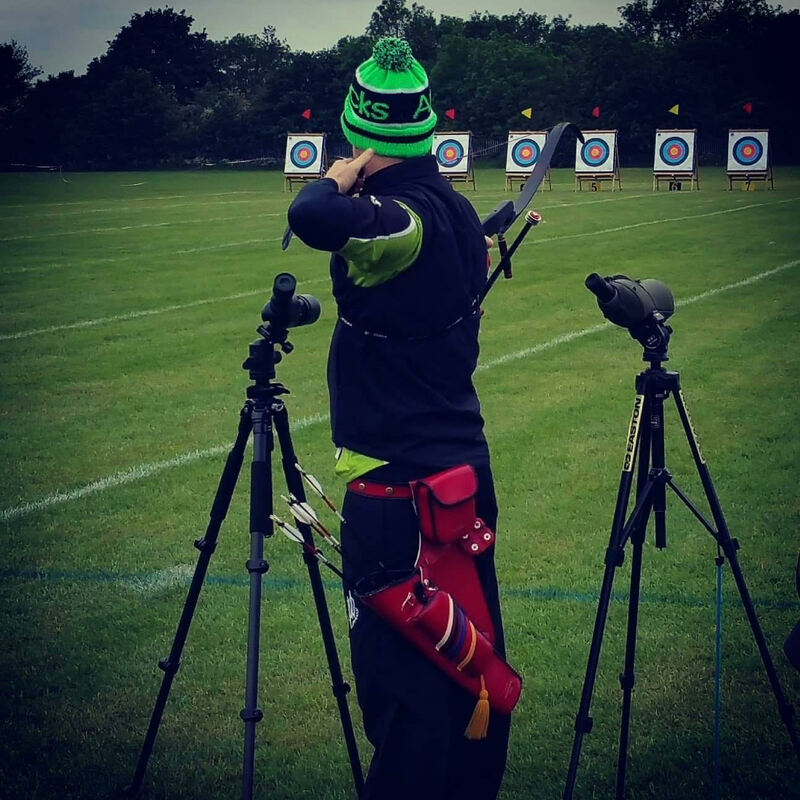 Becoming a sponsored archer for Arrow Socks has just capped an amazing year and I feel so priviledged for this opportunity and hope that i can push even harder to improve in the seasons to come. 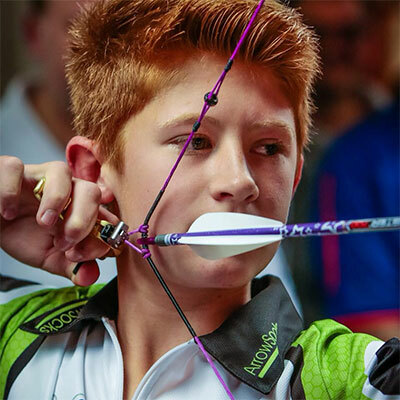 Nathan is junior compound archer who’s been on the Archery GB Development squad for 2016 and has been selected again for 2017. I began shooting in 2012 after finding a club near to where I worked in London. Although the club only shot indoors I was instantly hooked and started competing not long after completing my beginners course. 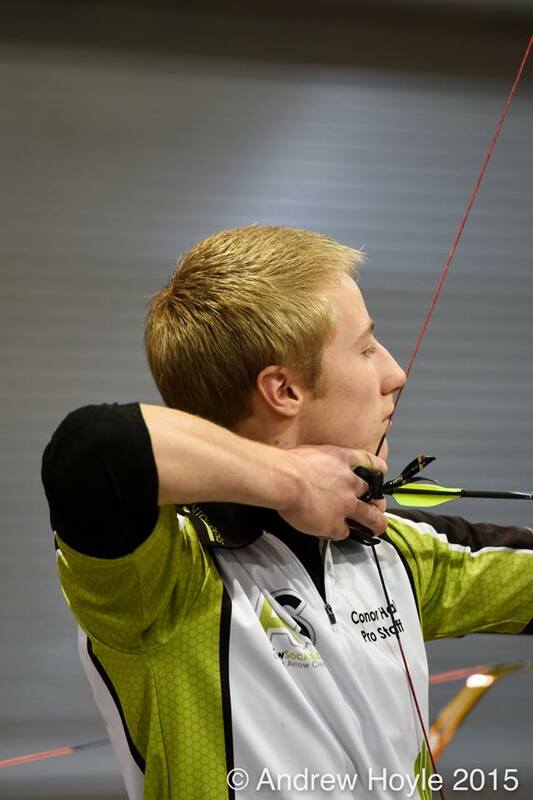 In 2014 I joined Crystal Palace Bowmen and started to shoot outdoors and also compete at outdoor tournaments, this is where I first met Adam who spotted my ArrowSocks wraps (well they were fluorescent yellow!). 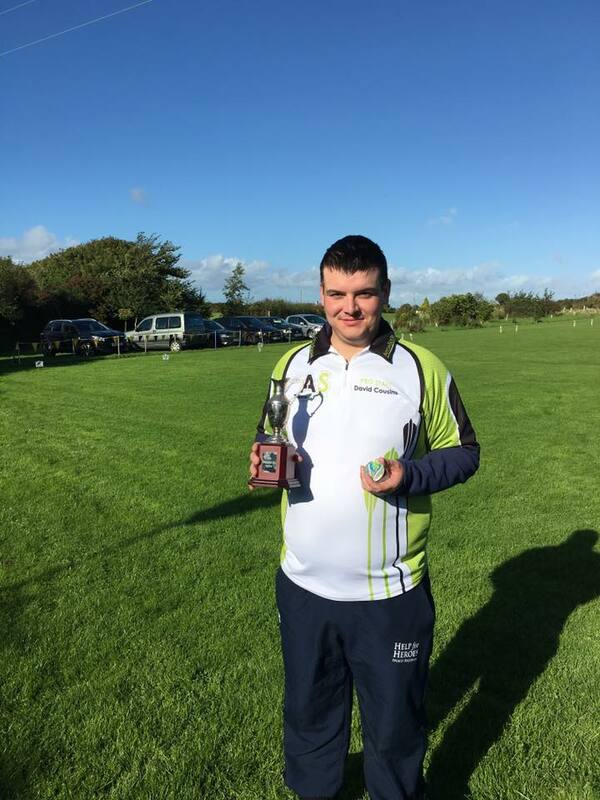 2015 was my first year amongst the ‘big boys’ shooting at full tournament distances since then I managed to pick up a few medals and pick up some target awards. 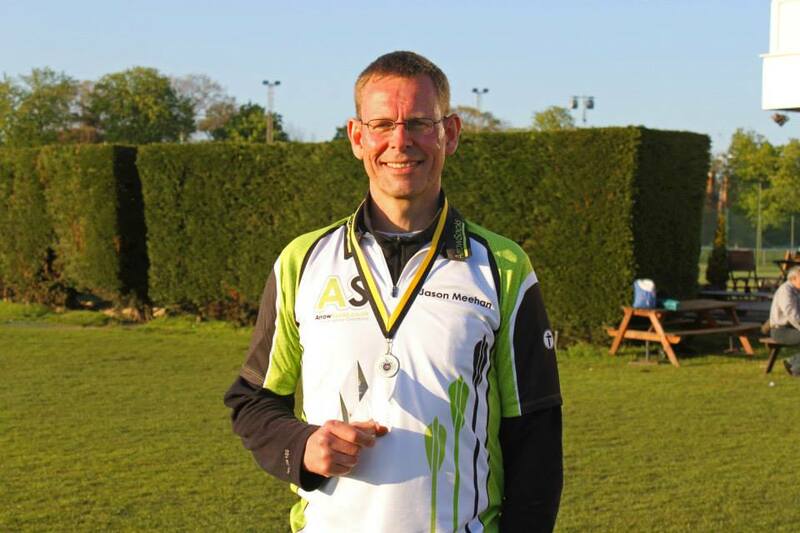 Highlights include becoming Kent Field Champion, being selected to shoot for the Kent recurve team and becoming a fully-fledged member of the ‘Green Army’. I am proud to represent ArrowSocks as they are a great family run company with quality products and I hope to do them justice in the years to come. Recently represented Team GB in the Rio Paralympics. 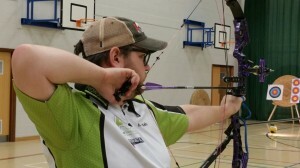 I have been shooting recurve since 2008 when I joined my club Lizard Peninsula Bowmen. 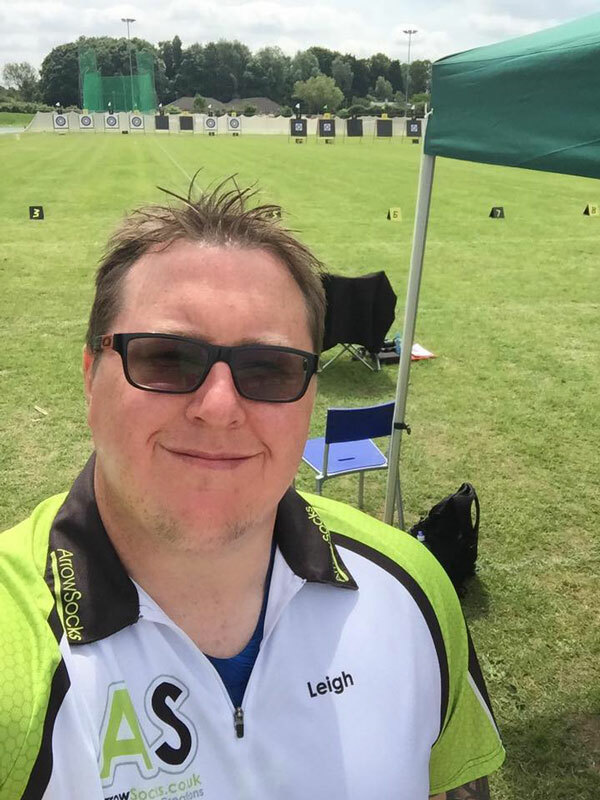 Since then I have been fortunate to shoot for my club, County (Devon and Cornwall Archery Society) and Country (Team UK), also due to serving two years in the Territorial Army (TA(now the Army Reserve)) I have had the chance to represent the Army at various Tri-service tournaments. 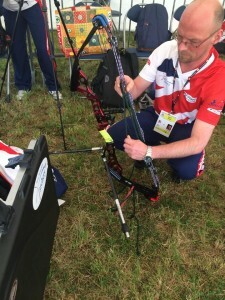 My proudest moment in my archery career happened in June 2016 when I was selected to shoot as a member of Team United Kingdom at the 2016 Department of Defence (DoD) Warrior Games in America, where shooting a WA18 I ranked 3rd in the Ranking round and finished equal 5th in the head to head, but my proudest moment come in the Team round where with my two team mates we finished 1st in the team round with a new games record. This was an amazing experience. Recently I have taken up Compound, to start with it was for a break from Recurve, but now I hope to shoot Compound at either the 2017 Invictus Games or the 2017 DoD Warrior Games. I feel both proud and privileged to be representing ArrowSocks as a member of the Green Army.